This configuration allows economy of space and more comfort. It’s strong central pilar ensures stability and the wood top with our water proof finish guaranties great longevity. The simplicity of this product makes it suitable to pair with any kind of chairs. 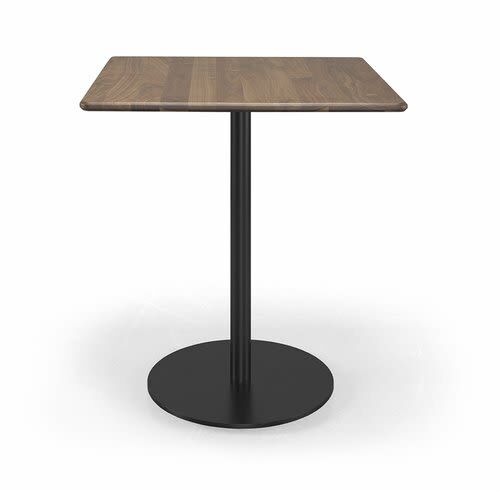 It can be supplied with square or round tops, at seating or standing height.